Happy T day to Elizabeth and all my dear friends at T stands for Tuesday. 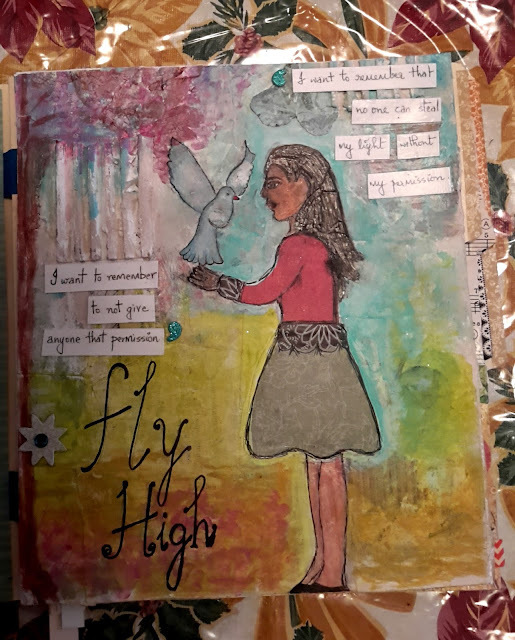 I received this beautiful card from my dear friend Dawn. She also sent some lovely pictures of her yard-:) My dear friend Thank you so much, I am going to treasure them in my PL album. Recently I signed up in the Brave Girls University. All the classes by Melody Ross are in here plus so many from other talented artists. Two years ago I had signed up for Melody's class The Walk as a gift to myself and loved it. After being at the Brave Girls University I have been going through all her classes. 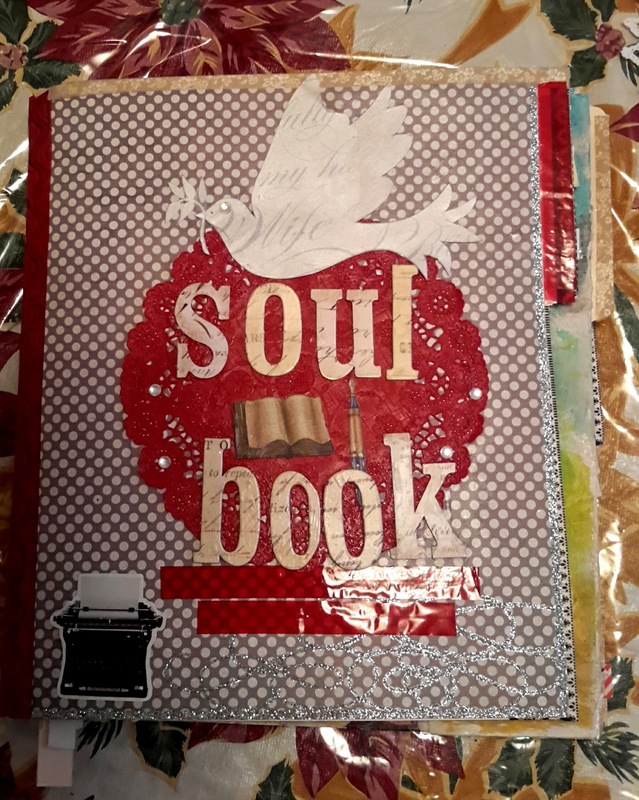 The Soul Book is another of her classes. She provides so many beautiful truths for us to go through. Some of these pages were previously created. I adhered them to this book and added the 'truths'. 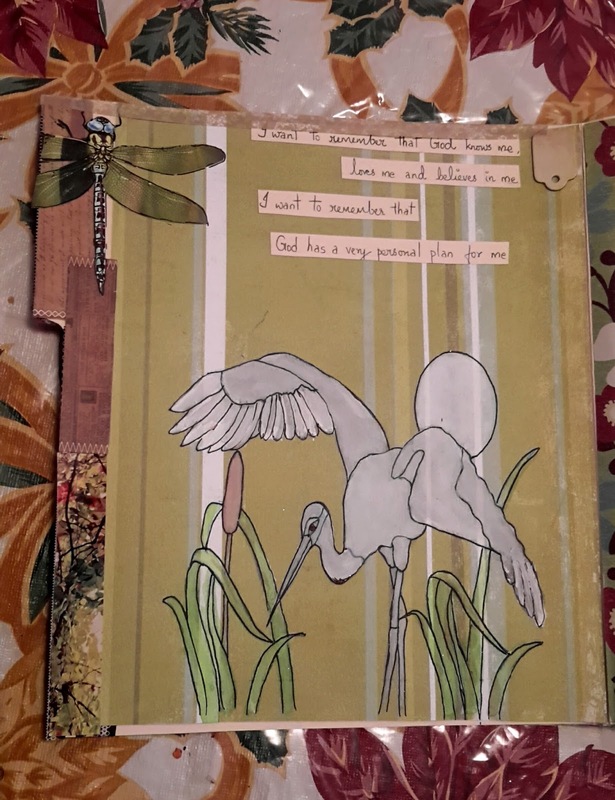 I have sketched and collaged on every pages. This book is not completed. Whenever I get some spare time, I can always come back and do more. This is the art I wanted to share with you today. Merry Christmas and wishing you all a happy and peaceful holiday with your loved ones. LOVE your SOUL Journal, and what it stands for and means. Just beautiful. Merriest of Christmases to your and your family. I never heard of the Brave Girl´s university before - I´m on my way to check it out! 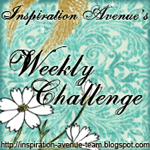 Your pages are wonderful! Happy T-Day and Merry Christmas! I love the truths in your beautiful pages Susan. Thank you so much for sharing them along with your lovely gift from Dawn. Happy T day and a Merry Christmas to you and yours! Sounds like a wonderful class. Lovely pages with beautiful quotes. First, I want to apologize for being so late getting here this Tuesday. I was out all day, then got home in time to crash. I just woke and realized I had T visitors I had not seen yet. My apologies. Second I adore your Soul Book. 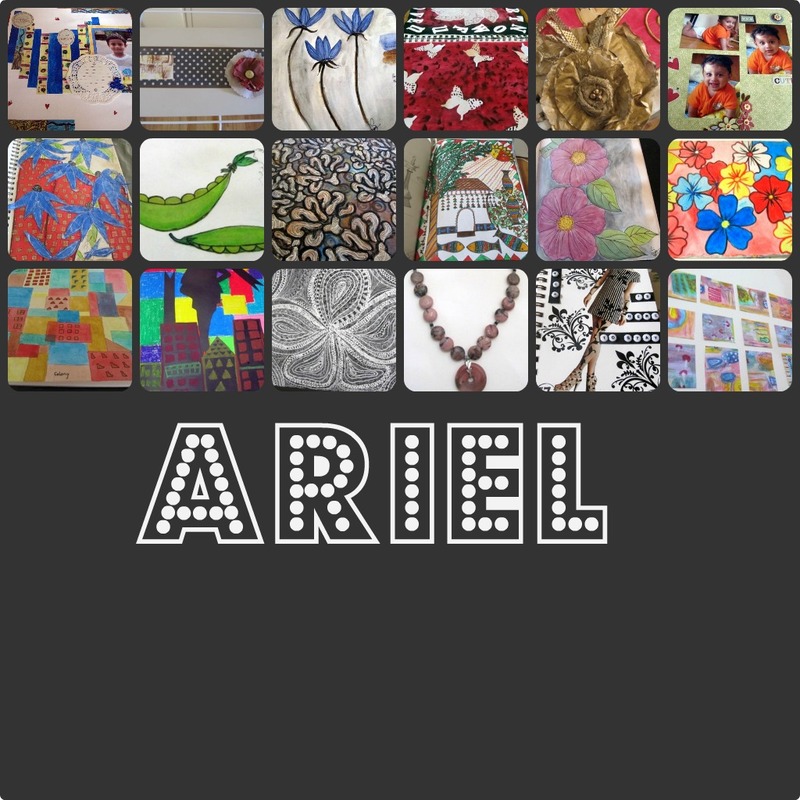 Looks like the class really has you creating some beautiful things. Third, I apologize that I have not sent an e-mail, but mine isn't working at the moment. I have no way to actually send you my address without making it public. I'll try to get someone to send it to you. And finally, I want to wish you and your family a beautiful, safe, and joyous Christmas, filled with many happy memories. Thanks for sharing your art and your drink with us for T this Tuesday. 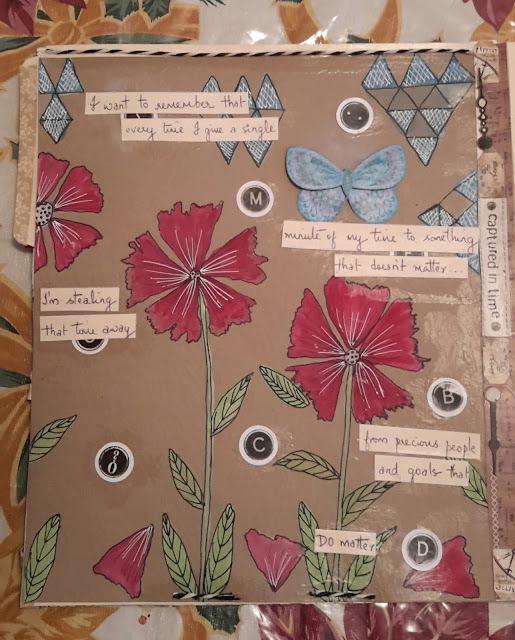 Your Soul Journal is just amazing! Wonderful ! 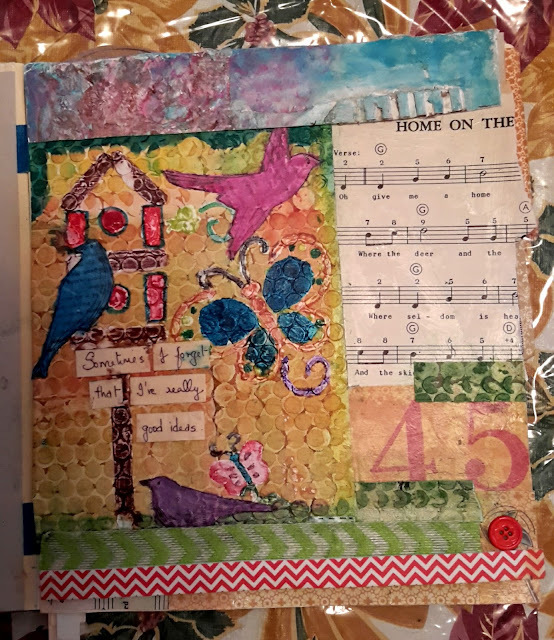 Thank you very much for being with us again at Art Journal Journey Susan! I like the idea of soul book very much. It is the way you can express your soul in art. Looks really great. Good luck with it! What a lovely and heartfelt project! Merry Christmas my friend!Much Love! because we are worth it! 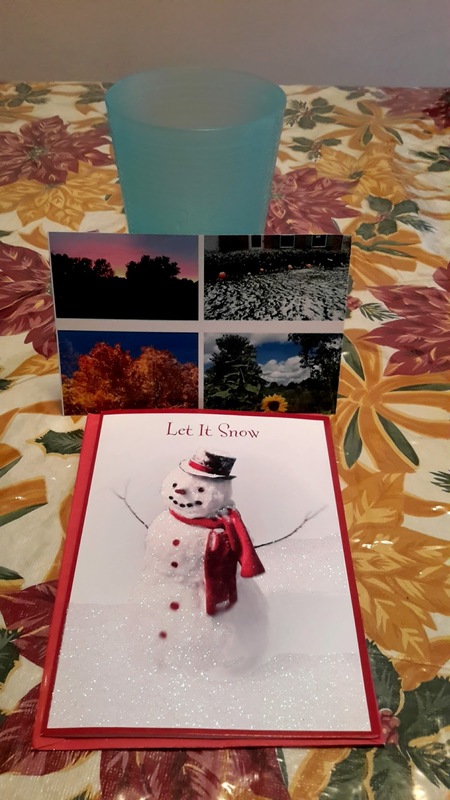 Hello Susan, THANK YOU so much for sharing the card/photo I sent you, love sharing my yard/season photos with you and dream of one day walking here with you just and one day at your home too.